SARADA MAHILA UNNAYAN SAMITY is located in Kolkata West Bengal . SARADA MAHILA UNNAYAN SAMITY is registered as a Society at Kolkata of state West Bengal with Ngo unique registration ID 'WB/2012/0050234' . 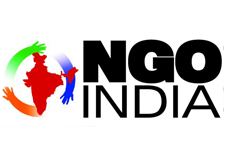 The NGO registration is done by Registrar of Societies with registration number s/69040 of 1991-92 on the date of 25-11-1991, Its parent ORganaisation is PaulFoundation. The Chairman of SARADA MAHILA UNNAYAN SAMITY is Anjali Mukherjee and Chief functionary officer is Anjali Mukherjee. Contunious Prosses going on for the Rural Women & Children for medical health & self emploment in different segment.Also arranging regular interaction with the village backward class women & children.